In Sept. 2015, Country Music Hall of Fame member Kenny Rogers announced his intention to retire from performing after one final tour. Those performances are still being scheduled through the end of 2017, but Tuesday morning (July 18) in Nashville, the singer announced the date of his final performance: Wednesday, Oct. 25 at Bridgestone Arena in Nashville. Before this morning's announcement, Rogers spoke with Billboard about the show. Titled All In For The Gambler: Kenny Rogers' Farewell Concert Celebration, the show will bring together fans, friends and music icons to celebrate Rogers. All In For The Gambler will feature performances by Kenny Rogers, Dolly Parton, Little Big Town, Alison Krauss, The Flaming Lips, Idina Menzel, Jamey Johnson, Elle King and many other special guests to be announced in the coming weeks. Rogers and Parton first joined their talents together in the fall of 1983 for their blockbuster Billboard Hot 100 No. 1 "Islands In The Stream," and also scored with "Real Love" (1985), "Love Is Strange" (1990), and "You Can't Make Old Friends" (2013). It's been over a decade since the two performed together in a public setting -- Rogers did join Parton for her telethon last fall for those affected by the fires in East Tennessee -- and this time will be the final opportunity to see the legends together. 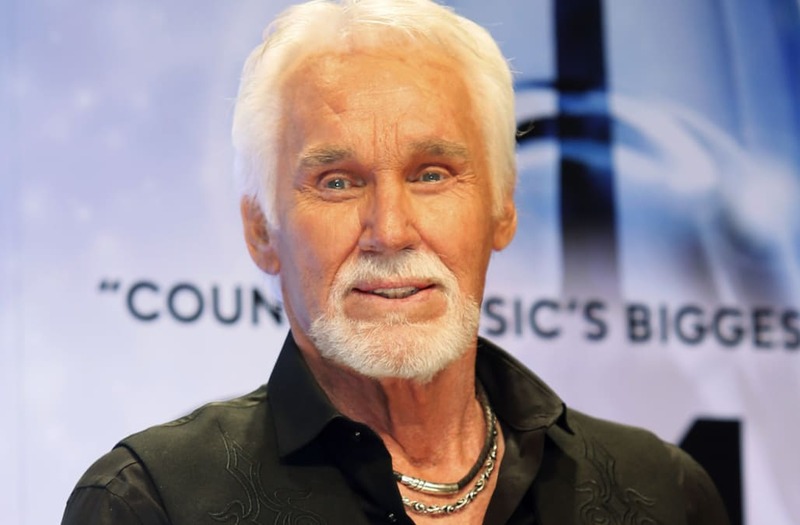 Kenny Rogers received the Career Acheivement Award at the 36th Annual Academy of Country Music Awards at the Universal Amphitheatre in Los Angeles, Ca. 5/9/01. Photo by Kevin Winter/Getty Images. "This will be our last time on stage – forever. It will be worthwhile to come and see that," Rogers said. Ironically, despite their careers being linked together, they've rarely shared the same stage in concert. But he stresses that sharing the spotlight with Parton is something he relishes. "We do love it when we get a chance to be together. She's everything that everybody thinks she is – and more. I'm so excited about her being there. It's hopefully going to be a night to remember for all involved." Parton says it's a mutual admiration society. "Kenny is like a family member to me. We have been friends for over 30 years and made musical magic together. Since 1983, when we released 'Islands In The Stream,' everyone has had an expectation to see Kenny everywhere I go and me with him wherever he goes," says Parton. "Well, I guess for many of those fans that wanted to see us together, this will be that night. Performing with Kenny for the last time ever on Oct. 25 is going to be emotional for both of us, but it's also going to be very special. Even though Kenny may be retiring, as he fades from the stage, our love for each other will never fade away." Rogers says he is looking forward to the event – with one minor bit of hesitation. "I'm a little uncomfortable talking about a tribute to me, but it's going to be a fun night. It strikes me as something for me to get together with a lot of the people I have met over the years, and say goodbye legitimately." When asked about the farewell tour itself, Rogers admits it's been grueling yet rewarding. "I think I have worked harder in saying farewell than I have ever worked when I was busier. It's been a wonderful opportunity for me to say goodbye and thank everyone. We started it in South Africa, then went to China and ten different countries. We've been everywhere just about, and it's been a long tour. I'm glad that it's winding down." The concerts are a multi-media trip down memory lane for the fans and Rogers, with film clips of his storied six-decade career. He says that during his commercial peak years of the 1970s and 1980s, the career pace was so fast and furious that it was tough to absorb all of the career moments that happened to him. Even now, viewing his career collectively, it's still tough to believe the successes he has had. "It's much more than I ever expected to – and much more than I deserve. It's really been something to behold for me. It's very hard to put it in perspective and say 'That was my career,' because it wasn't what I set out to do. I was just trying to survive in the business." Rogers' set list runs the gamut of his recording career – including the days of The First Edition, the group that he was lead singer of from 1967-1975. The singer jokes with the audience about the clothing styles the group adopted during their run together, but says they were pretty snazzy-looking for the time. "We came up with the clever idea that The First Edition was a printing term. So, we wore all black and white outfits. We had some great stuff. Bill Whitten was one of the best designers in the nation, he made a lot of those outfits for us." Producing the Nashville date -- for which tickets go on sale this Friday (July 21) -- is Keith Wortman of Blackbird Presents. He says it's an honor to get to work with an artist whose music has served as the soundtrack of his life – literally. "Like millions of fans around the world Kenny Rogers songs have been the soundtrack of my life. In my case it's deeply personal as I remember long drives in the car with family singing Kenny's songs on the top of our lungs. And so as he approaches 80, and finishes out this beautiful final victory lap of a touring life, I feel privileged to able to create and produce a show honoring this special artist on this special occasion." Rogers has praise for the work that Wortman does as well. "I saw the tribute that he did for Merle Haggard, and it was really great. It was wonderful. I got to perform on the one for Randy Travis, and I was thrilled to be a part of it." As Rogers winds down his touring days, what song seems to mean the most to him? "Believe it or not, it would be the most recent - 'You Can't Make Old Friends.' I think that there is so much said in that song about life and about my particular career. There's so much truth in it."